Last October for my birthday I got a Fitbit. I have the Fitbit Charge 2 (affiliate link) which has a large display and heart rate tracker. It is quite bit on my wrist which I found a bit difficult to get used to at first, but having been wearing it for six months now I'm used to it. One thing that I really like about it compared to the not-very-reliable Garmin activity tracker that I had before is how responsive the screen is when I raise my wrist - it turns on straight away so that I can see the time and daily steps. When I first got my Fitbit I set my daily target to 10,000 steps as was recommended. But I'm afraid that I didn't take it very seriously, and I didn't challenge myself to reach it every day. Some days when I went for a run I would go over, but many days I was around the 5-6000 steps mark which didn't feel like much of an achievement. My lowest step count in a day was just 409 steps - although to be fair that was Christmas day when I barely moved from the sofa! So in January I made a resolution to complete my 10,000 steps every day. I discovered that in order to hit that magic number I had to do at least one extra activity, whether that was a run or a long walk. At the beginning of February I wrote about how I was managing my 10,000 steps, and at the beginning of March I upped my target to 11,000 steps. Nearly two months on I'm not finding that any more difficult, and so I'm thinking about increasing it again to 11,500 or even 12,000. I've discovered a good trick for bumping up my step count when I can't leave the house, whether due to inclement weather or childcare responsibilities. We are lucky that the ground floor of our house is quite spacious, and if I open all the internal doors I can just march around the house in circles. Even better, I can do this while I'm reading a book at the same time. I can easily knock out a 30 or 40 minute walk, and although I must admit that I feel a little bit dizzy when I'm finished it's an easy and quick way to get to my target! It feels a bit like cheating, but it gets my heart rate up and it definitely counts! I'm also enjoying some friendly competition with friends and family members. I rarely talk to them about it so they have no idea, but I feel a sense of smug satisfaction when I'm top of the leader board, as well as admiration for those that are achieving above my targets. 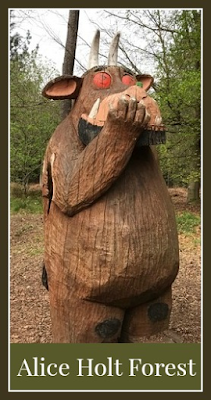 I've not taken part in any challenges yet but I've heard that they can be very good for motivation, I'm just worried I'd get a bit obsessive about it! I do really love getting the badges, my best so far is 20,000 steps, but I'm sure I can do better than that! One thing that I've noticed about the Fitbit is that it particularly loves stairs. Even on days when I've been for a run and am feeling knackered I don't always meet my calorie target. But if I've been going up and down the stairs a lot, for example on days when I've been busy doing washing and putting it away, or just general tidying, I easily burn more calories. Talking of calories, the Fitbit has really made me appreciate how few calories I actually need to eat. According to my Fitbit, which seems accurate, I'm usually burning around 1,900 calories over the course of the day. When you think that a takeaway pizza 12-1,500 calories you realise that treats like that will definitely add up quickly! I'm not regularly using the calorie counter as an aid to weight loss, but I've found that when I am tracking calories, which I do from time to time, having the daily exercise definitely helps with the weight loss. I'd love to hear how other people get on with their Fitbits or other activity trackers - how many steps do you aim for in a day? Ever since the children were first weaned, I've always been in the habit of packing a drink and a snack to take along with us. Harry was very easily bored as a toddler, and taking a small box of raisins or Cheerios out and about with us was a good way to keep him occupied if we had to wait around somewhere. But it wasn't until Mia came along that I really understood how necessary it was to keep a snack in my bag. To be fair I should have been quite familiar with the possibility of 'hangriness' (becoming angry through lack of food or drink) because it's something that Ram suffers with and I'm used to making sure that our trips out and about involve regular snack and drink breaks. Ram will often get even more hangry if I try and get him to eat something, but after he has eaten he'll recognise his hangriness in retrospect. But Mia's hangriness is completely different. I have discovered that Mia needs to eat regularly, by which I mean every couple of hours, to stop her bad mood from descending into a screaming meltdown. It doesn't need to be much, it can just be something that doesn't feel very filling, like some sticks of pepper or cucumber, but it is enough to stave her off for a short while. I can always tell if she's due for a snack - she won't usually say that she's hungry unless I ask, but there is a noticeable downturn in her mood that can often result in a full on lying on the floor tantrum. So if we are leaving the house to go somewhere and it's been a couple of hours since the last meal, I always make sure that I offer a small snack before we leave, alongside toilet trips and shoes on. I keep a packet of breadsticks and a water bottle in the car ready for the drive home from school, and I always have a bottle of water as a minimum in my bag, even if we aren't popping out for long. I don't think that it's an uncommon thing in children (and adults!) so at least I'm aware of it, and most of the time I can prepare appropriately! Does anyone in your family suffer from hangriness? 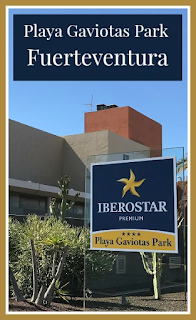 We spent a week at the Playa Gaviotas Park in Fuerteventura in April 2017, and had such a lovely time that I thought I'd share a little review of the Iberostar holiday where we stayed. Although our children were on their Easter holiday from school it was a slightly quieter (and cheaper!) week as not all the schools had broken up. We booked our holiday with Jet 2 Holidays and flew from Birmingham. It was the first time that we had travelled with Jet 2 and we were very impressed, everyone was very friendly and it was a very smooth flight. The transfer from the airport was about an hour and a half - quite long although with some interesting scenery on the way and not too much stopping at other hotels. We did end up getting off at the wrong hotel though, the Playa Gaviotas. I'm not sure if it was our fault or the coach driver (there was no rep on board the coach), it did lead to a bit of confusion and although only next door we ended up lugging our suitcases up a few flights of steps to get to the reception at the correct hotel! 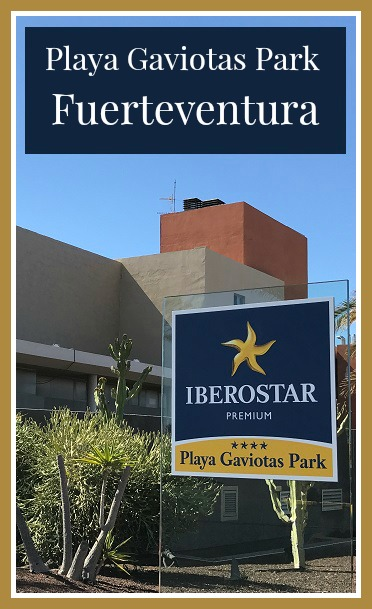 There are three hotels in this Iberostar complex - the Playa Gaviotas Park, the Playa Gaviotas, and the Fuerteventura Palace. You can use some of the facilities at the other hotels but do check at the hotel directly, for example we could get drinks at the Playa Gaviotas but not at the Fuerteventura Palace, but could use the pools at all three. We also had the option of dining in one of the other hotels for one evening. Our room was a Suite which was located on level 4, the same level as the main reception and a floor above the restaurant and pools. There was a lovely feel to the communal areas in the hotel, with plenty of plants and fresh air. We had a large double bedroom with double doors leading out to the balcony, a desk, and large wardrobe. The children slept on a double sofa bed in the living room, again with large doors to the balcony, a television, and a dining table and chairs. The bathroom had a bath which is very important when it comes to dealing with sandy children. There was plenty of storage and it felt very spacious and clean. We also had a small kitchen hidden in a cupboard. Although we didn't do any cooking, the fridge was very handy to store snacks and drinks in. There was no kitchen equipment provided though, so you'd need to bring it all along yourself if you did want to self cater. We had a lovely view from our balcony over the pools (good for checking sun lounger availability in the morning) and the sea in the background. Talking of sun loungers, we did find that people were reserving them from fairly early on, despite warnings that items would be removed. We generally headed down to the pools around 10am and found somewhere, but tucked away at the back (which suited us as the children weren't that bothered about the pools). Later on in the day it was quite difficult to find a group of sun loungers anywhere, although we found plenty of outdoor seating on sofas and comfy chairs at the Iberostar Playa Gaviotas hotel next door. Only one of the swimming pools was heated, and it was still quite chilly, so our children didn't go in them much. It's a shame as the other pools looked lovely but were mostly empty as they were very cold, there was a good range of shallow areas and deeper parts for swimming. Breakfast and dinner were served in the main restaurant, with lunch in the pool bar. The main restaurant was large and never felt crowded, although to be fair we were visiting during a quiet week. There was plenty of food and a good selection, we aren't foodies and the children are quite picky, so we didn't make the most of it at all. As vegetarians we did end up with quite carb heavy options (lots of pasta, bread, pizza) but there was plenty of fruit and veg to balance it out. At mealtimes you could help yourself to drinks in the restaurant and the bars, including many types of alcoholic drink. Several times during the week there was a barbecue at the pool bar for lunch, and there were three themed nights during our stay - Mexican, Canaries and Tapas - with some more interesting and varied menu items. We spotted a timetable for the following week and there was a themed night every night with lunch also served in the main restaurant, so things obviously change during busier times. I have terrible will power when it comes to unlimited desserts and there were plenty to choose from, luckily small portions so you could try a bit of everything. On one of the themed nights there was a chocolate fountain which we all enjoyed, and every evening we were welcomed into the dining hall with either sparkling wine or a cocktail. The beach, part of the Jandia Peninsula, is located a few minutes walk from the hotel, but you need to climb or walk down to it. 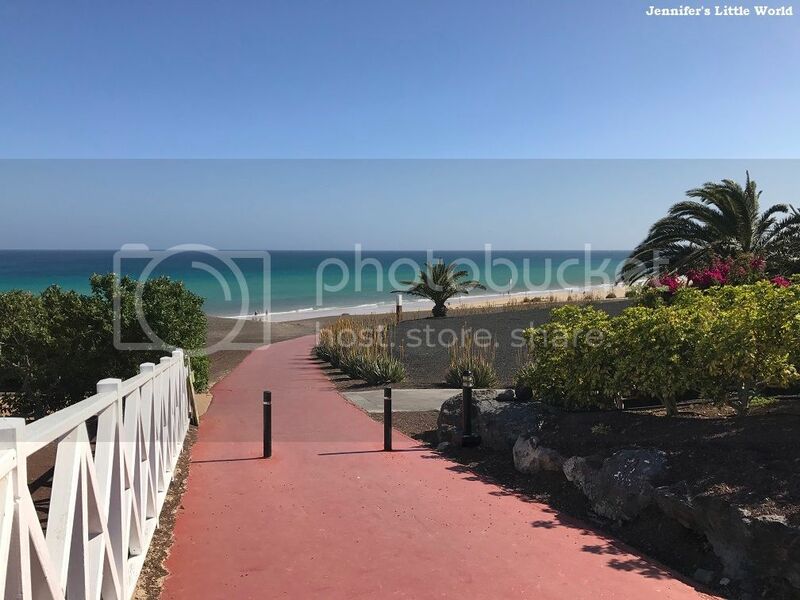 There's a pretty little steep path from the hotel, or you can cut across through the neighbouring Iberostar Playa Gaviotas and use the lifts to get down. It's a really beautiful beach, miles and miles of golden sand, and it was never busy. We spent a lot of time here building sandcastles and playing in the sea. There were lifeguards on duty but the sea was a little rough for swimming, however it was shallow and when the tide was going out it left behind large lakes which the children could splash about in. Our children weren't interested in the daily kids club, although there seemed to be plenty going on with daily activities. There was lots to entertain them though! Apart from the beach and the pools where we spent most of our time we found a nice playground in the Iberostar Playa Gaviotas and there was a Mini Disco every evening. There was also a later show which was suitable for children but as it didn't start until 9.15pm it was a little late for ours. We did enjoy most of Mamma Mia and the Magic Show, and the other shows looked pretty good too. I have also made a little video about the hotel showing our room, the pools, the beach and some of the food, enjoy! 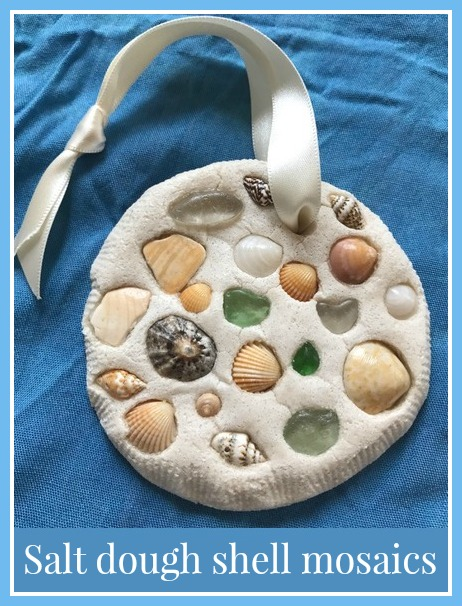 We had a lovely stay at the Iberostar Playa Gaviotas Park, and I wouldn't be surprised if we end up coming back! I love Hama beads, and in fact I think that I spend more time playing with them than the children! So I thought I'd round up ten of my favourite Hama bead projects that were made by me, and for me! It's easy to brighten up your decor with some cheerful beaded projects. 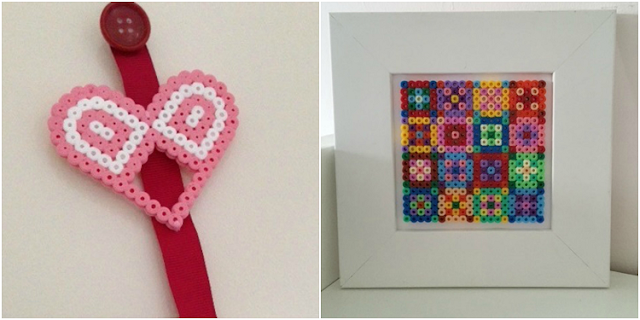 This Hama bead heart hanging decoration is a great way to fill a small narrow space on the wall, and was made for Valentine's Day. The Hama bead quilt style picture is so bright and colourful in a square frame in our bathroom, and I admire it every time I'm brushing my teeth! You can use Hama beads to make some lovely holders for battery powered tea lights (please note that these are not designed for real candles as that would be very unsafe). 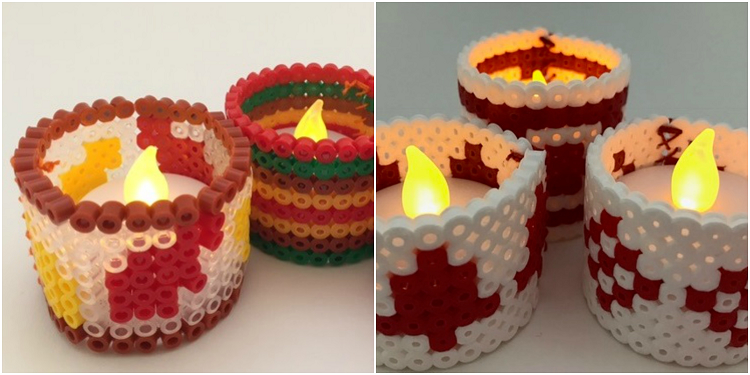 These Autumn battery powered tea light holders are made with beads in reds, oranges and greens, and these Christmas battery powered tea light holders are inspired by Scandi designs in red and white. 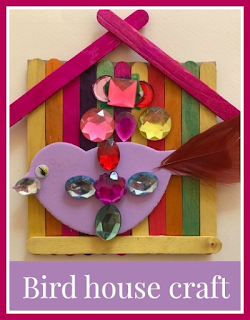 You can use Hama beads to add a touch of fun to some of the decorative objects around your home. I made some strips of Hama beads to wrap around a jam jar to make Hama bead covered pen and pencil holders, and I used two large square pegboards to make some Hama bead photo frames to display my favourite pictures. The mini Hama beads are perfect for more intricate projects. 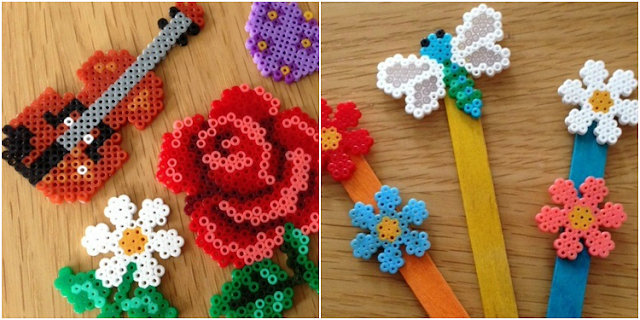 My first mini Hama bead projects make lovely embellishments for card making, and I used some dragonfly and flower designs to make some mini Hama bead decorative plant markers. 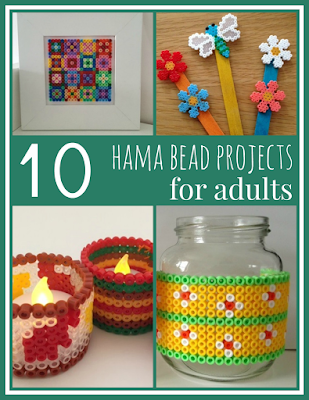 Finally I particularly love making seasonal Hama bead projects. 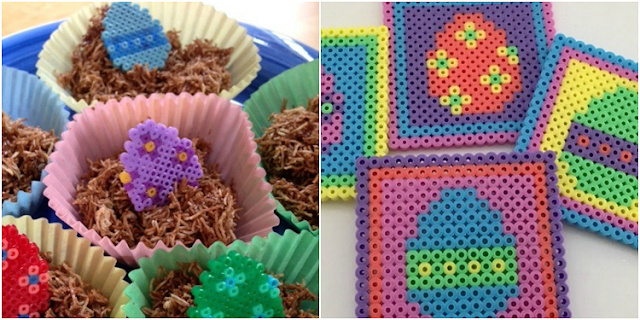 For Easter I used the mini Hama beads to make some tiny Hama bead Easter eggs which can be used for card making or as shown in the photograph as little cake toppers. I used a larger version of the design in the midi beads to make some Hama bead Easter egg coasters, great for brightening up the table or for the first Spring drinks in the garden. I hope that you liked my Hama bead projects! 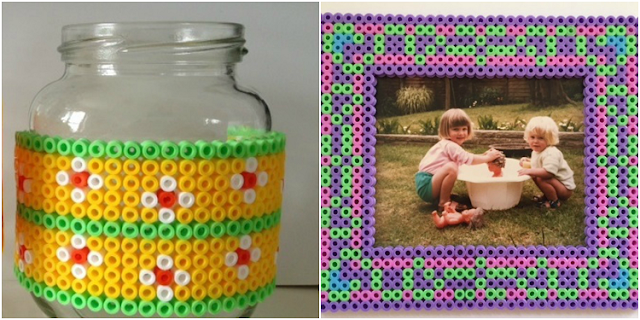 Remember - Hama beads aren't just for children! You can find many more of my Hama bead creations on my Hama beads page.